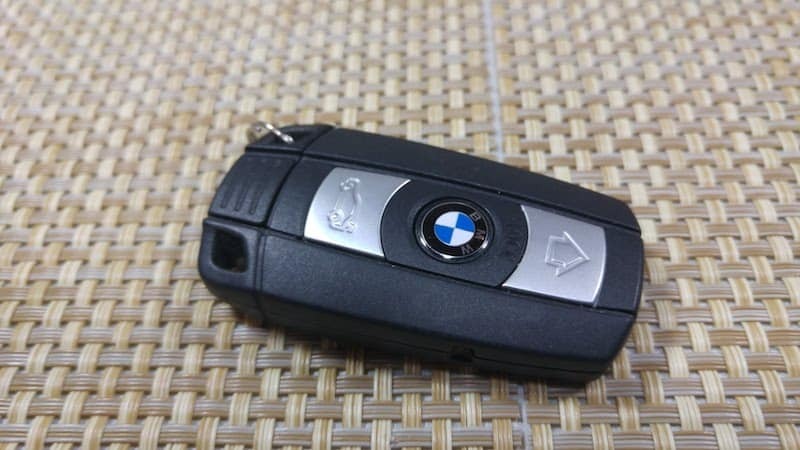 The late model BMW key fob's feature a nice colored roundel or emblem like the hood of your car. If you use your BMW has a daily driver hitting that emblem for the lock button is a routine task throughout the day. 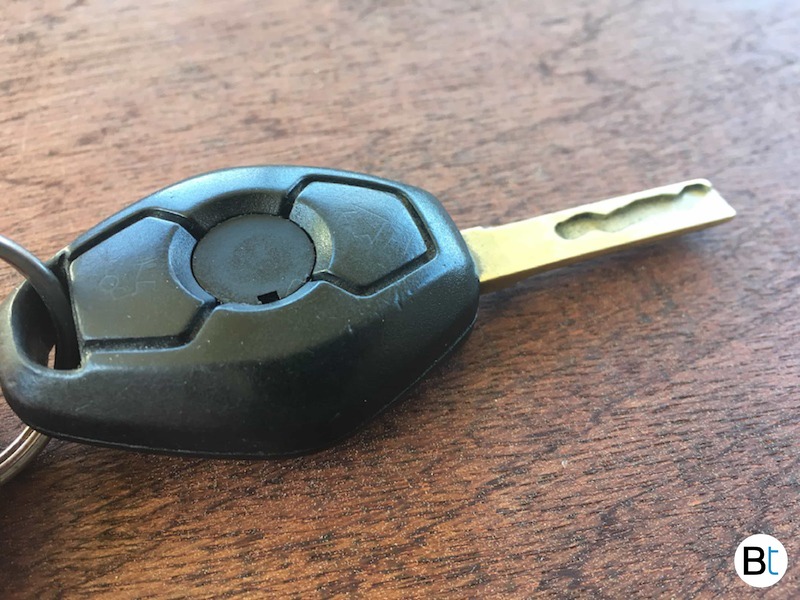 The more the button is pressed, the more yellow it becomes and eventually the stickiness will wear off and the emblem will completely remove itself from the key fob. Luckily the simple solution is to just replace the emblem, you do not have to replace the entire key fob housing. 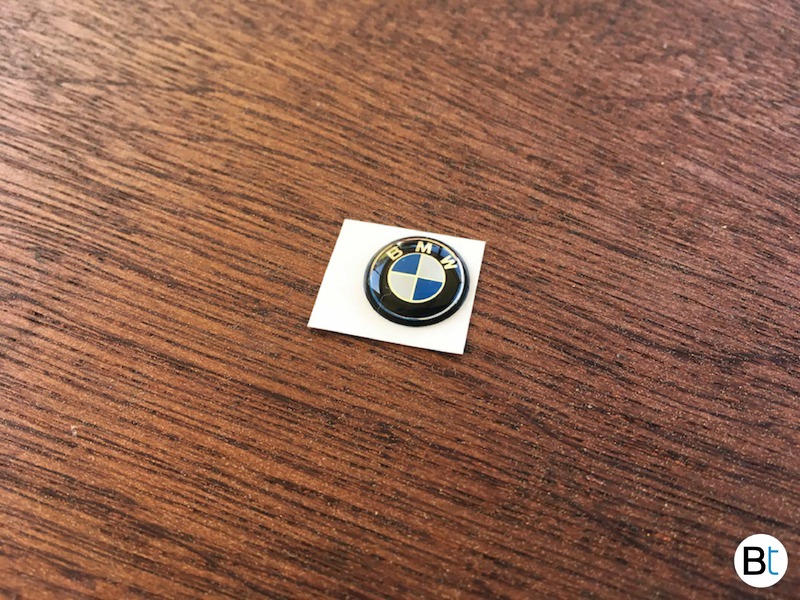 These OEM BMW key fob emblems are reasonably priced online for around $7 and will add vibrancy back to your BMW key. We recommend going to your local BMW dealership, this way you know you are getting a genuine OEM BMW part. You can find these for dirt cheap all over eBay but these are not original. The eBay emblems are knock offs that are made cheaply and will not last as long as an OEM quality part nor will it have the exact colors and fonts. 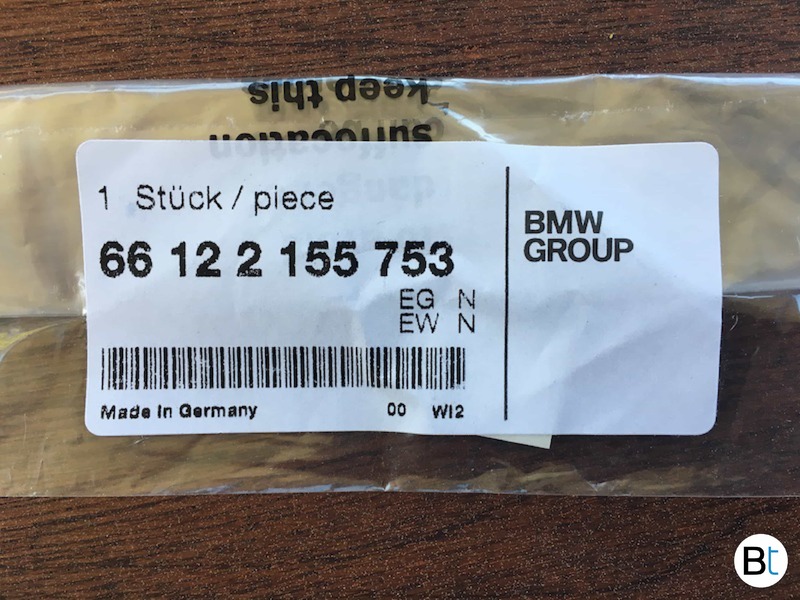 Below we provide the OEM BMW part number you need, order it from FCPeuro.com, ECStuning.com or your local BMW dealership to ensure OEM quality. It is a $7 part, don't be cheap and buy a Chinese one off of eBay for $5. 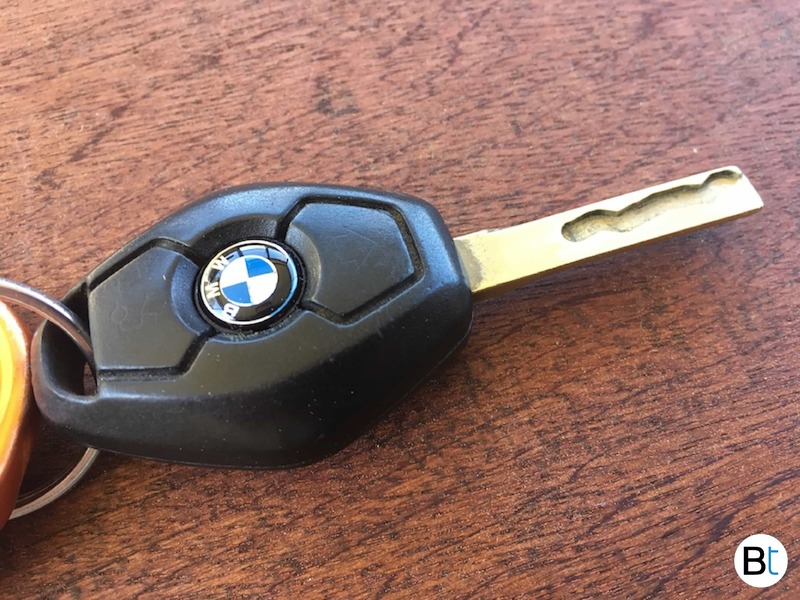 What OEM BMW part number emblem is for my key fob? The above emblem part number is 11mm in diameter. If you are unsure if it will fit your key, simply measure it. If your key fob emblem isn't already missing, the removal process is incredibly simple. Just pick at the edges with your finger nail until it peels off. The emblem is only held on with a sticker like adhesive. It is not permanently fastened down. Once the emblem is removed you want to make sure the surface is perfectly clean. We recommend using Goo-Gone to get the bulk sticky residue off and then go back with some rubbing alcohol to ensure no grease is left behind. Use a lightly wet cotton swab. MAKE SURE TO SPRAY THE WET THE COTTON SWAB LIGHTLY. 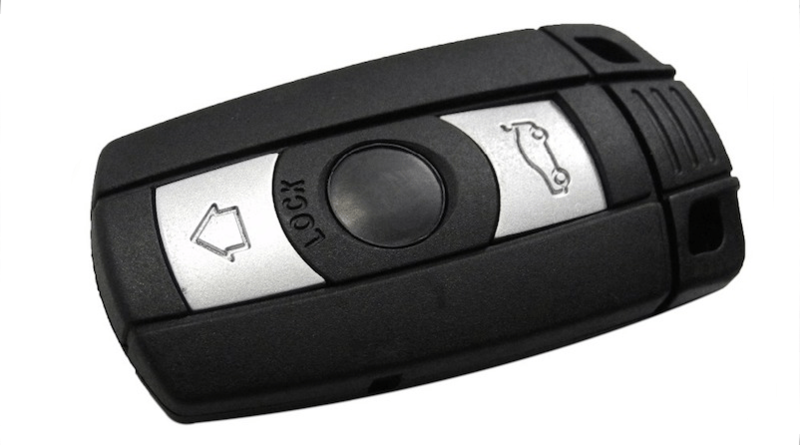 Do not spray the key fob directly with Goo-Gone or rubbing alcohol. Hold the cotton swab aware from the key fob while applying the degreaser, this will ensure no liquid gets inside and ruins the electrical components. Having a nice clean surface will ensure the new emblem sticks on properly and will last a long time. Now that you have a perfectly clean surface, peal off the new emblem from the paper backing. Make sure not to touch the sticky side with your fingers. The oil from your fingers will transfer to the backing and it will prevent a proper application. A good technique is to take an exacto knife and apply the emblem to the end and then slowly lower it down on the key fob making sure it is centered. Press down firmly and hold for a few seconds to make sure the new emblem is getting good contact.